Welcome to your trusted Mazda dealership. From our Birmingham location, we serve all the surrounding areas including Hoover, Birmingham, Pelham, and more right here in Alabama. By providing a friendly and fulfilling car-buying experience, we go above and beyond what you have come to expect from a dealership. Come to us when you are looking for a new Mazda like a Mazda3, Mazda6, Mazda CX-5, Mazda CX-9, or anything else Mazda. Do you want a used vehicle? We can help you there too! 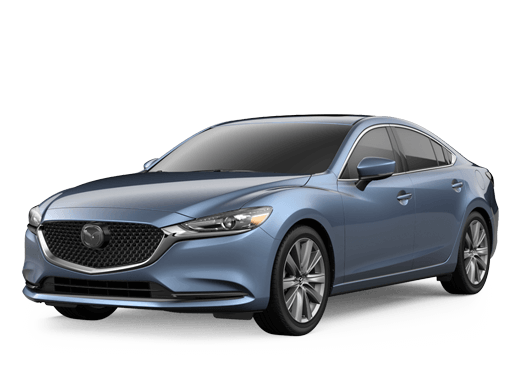 You can test drive a Mazda at Serra Mazda today or you can browse through our entire inventory online. Either way, we are happy that we can help. We are more than just a dealership. We also have a full-service center, and we will match any other advertised service price. Not only can we take care of all your vehicle’s service and maintenance, but we will also take care of you. Our waiting area has all the amenities that you have come to expect, but we also have a service shuttle that you can take advantage of during any service, and we will even get your car washed so that it looks just as great as it runs after your service. Not looking to buy from us or get service? How about a trade-in? We can buy your trade-in whether you buy from us or not, and we can provide an appraisal within 5 minutes or less! No matter what you need, Serra Mazda is here to help!